Well, I got through my solo gig in one piece and with reasonable success, but some things became immediately apparent that I will definitely change for next time. PreSonus Firestudio audio interface. It uses a FireWire connection, so has lower latency than most USB-based interfaces. (I usually have another Shure Beta58 mic set up for percussion loops, but I didn’t bother for this gig). The Apogee GIO connected (and powered) via USB to the laptop for playing backing and loops, with my expression pedal connected to it for guitar bits. Come time to perform, the laptop conformed to Murphy’s law relating to gigs and played-up despite being solid on every rehearsal, and I had to boot it three times before it played nice – including a forced-shutdown once as it froze up. 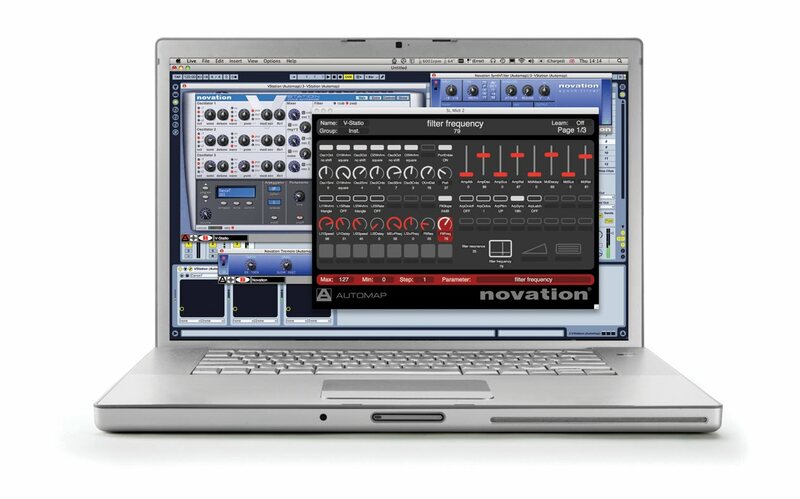 The Novation keyboard comes with its own Automap software, and the software runs automatically when you start up a MIDI-compatible application so it can act as an intermediary between the application and the keyboard, but it in this case it locked-up searching for the Novation (which was plugged-in with all its lights going) – forcing the restart. Of course it goes without saying that this was an agonizingly long time while standing on stage with my guitar waiting to play. Also – for some reason the GIO didn’t recognise my expression pedal – a bit of a major since I need it to cross-fade between some of my guitar tones. I have it set up so it either cross-fades between two separate channel strips with, for example, verse and chorus guitar patches (rather than a complete patch switch I often like to mix in a bit of “clean” guitar with the “distorted” guitar as it adds clarity, or sometimes I set it up so the pedal turns up a second “layering” channel strip with some pad-like or weird character guitar effects at appropriate times in the song. I suspect maybe the GIO likes to see the expression pedal plugged-in as it fires up, and on the third laptop reboot it finally discovered it (after I had decided it must be the cable!). The GIO doesn’t have a power switch, it just turns on when you plug it in. 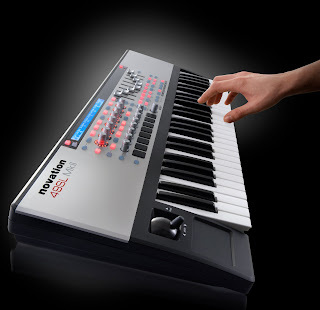 Both the Novation and the GIO both get their power off their USB connections, and although it normally doesn’t seem to make any difference, I made sure to turn on the Novation well after the laptop booted on that third attempt. At home I also usually have a computer keyboard, wireless bluetooth mouse dongle and external hard drive all running happily off the USB power as well, so the lappie should be able to run just the Novation and GIO. Once it was all up and going, the issues were mainly mix-based. The trick, of course, is getting something that works out front as well as in the foldback monitors, and although it actually sounded fine in the foldback, the vocals were apparently too quiet out front. Trying to turn them up got the mic a bit too close to feedback, which meant turning down the backing instead, which meant some of the backing became just a bit TOO quiet to be able to hear. One song had a triangle rhythm intro that ended up being way too quiet and I got out of sync – needing a restart of the song. A wee bit embarrassing. Create separate audio outputs to the PA system for the different mix elements. Or at the very least create a separate physical output for the vocals, since they’re one of the most critical things to get happening properly in both monitors and out front. (Vocals, Guitars, Drums, Backing, Keys, FX) so I could use the nifty little faders on the Novation to balance the overall mix, but it wasn’t enough. It has to be a separate output from the audio interface into its own channel on the PA mixer. Apart from that, the only other niggles I had were with the backing tracks – they were a little inconsistent with their start times due to the too-quiet monitoring. 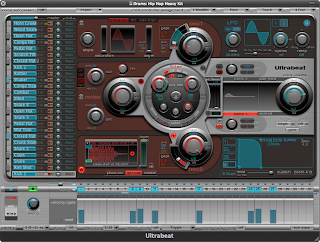 I have it set up so I can switch between sections of a song with the GIO with the “wait for next bar” setting – meaning you have to hit the foot-switch within the last bar before you want the next section to start. If you’re a fraction too early or late, the whole backing is out by a bar. I’m still not sure of the ideal way to set these backing tracks up. I’ve tried having the entire backing for the song as one track, but it leaves no flexibility for jamming out on sections or padding it out a bit if you stuff up or something. I’ve also tried having just the one backing track with some song section markers that you can cycle within when necessary, and to be honest that wasn’t too bad, so I may go back to that method. The beauty of the way I was doing it this time though is that you can jump to any section of the song if you feel like it, but that flexibility comes with its own risks and problems. The thing is to try to keep it all as simple as possible for the performance itself, so I’ll need to experiment a bit more with the ideal method. 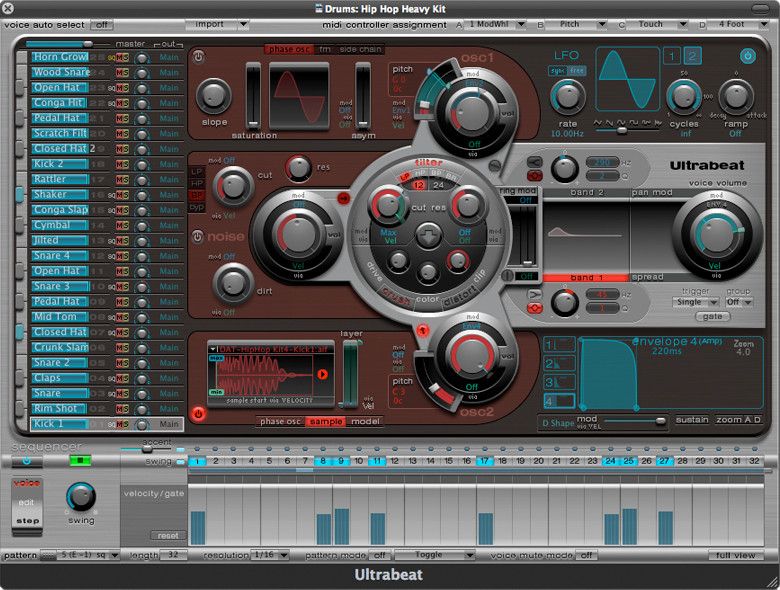 Finally, I’d like to come up with a better system for using Ultrabeat drum machines in my setup and find a way to simply switch between patterns – I might map the bottom few keys on the Novation for that purpose or perhaps assign some of the many buttons on it. Overall, I’m pretty pleased with the whole setup apart from those few tweaks I’ll need to make. I really like MainStage 2 – it’s an incredibly powerful live performance program with only a few minor bugs that will hopefully be sorted soon. 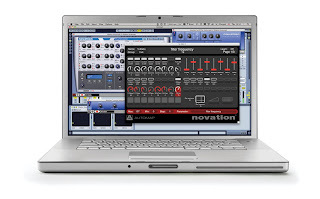 This entry was posted in apogee, gig, GIO, live, MainStage, Novation by zed. Bookmark the permalink.